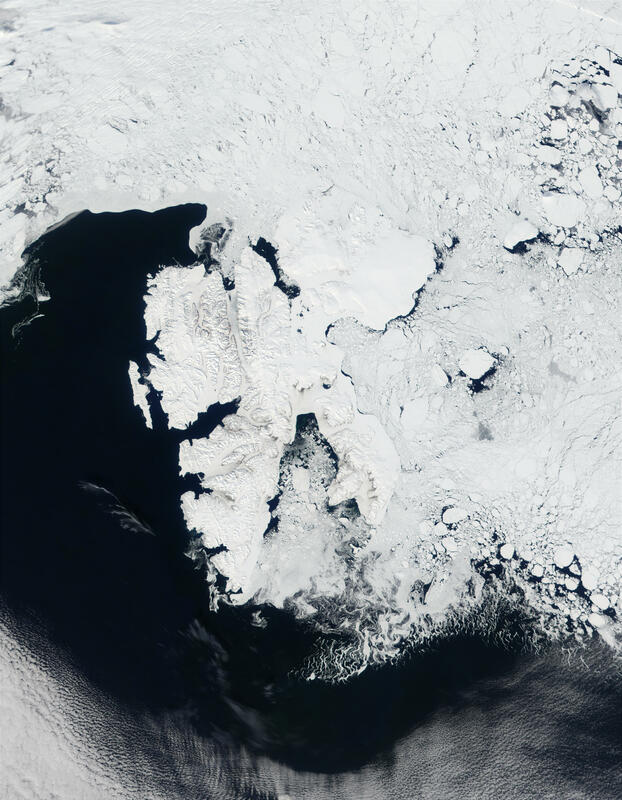 Located north Scandinavia well north of the Arctic Circle, the Islands of Svalbard, Norway, are locked in winter most of the year. 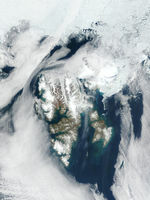 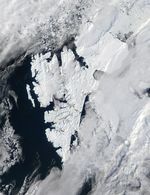 Much of the region remains covered in ice and snow year round, but this image shows the sea ice breaking up and moving away, and a bit of brown showing through where snow is thinning over the bare ground below. 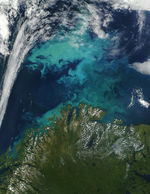 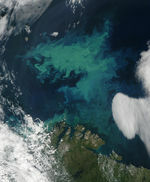 This image was acquired by MODIS on May 25, 2002.